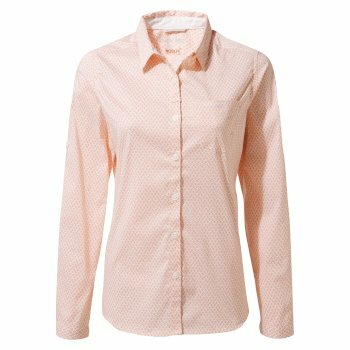 Prepare for your travels this season with one of our trail-ready women’s outdoor shirts. 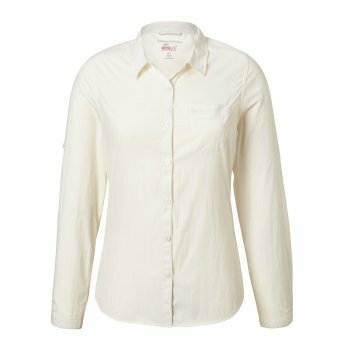 Try classic Kiwi shirts for easy-care comfort on the go, or one of our women’s Insect Shield hiking shirts for hot-climate adventures. 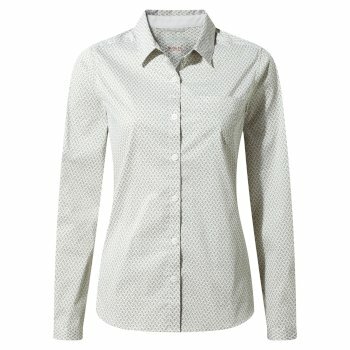 Browse the range to find the perfect women’s outdoor shirt for you. 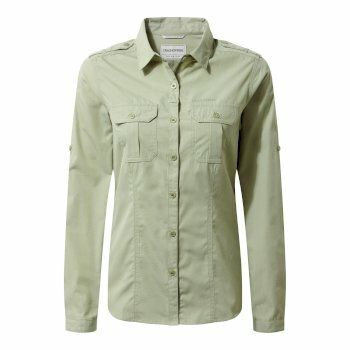 Take on your next expedition with our casual shirts for women. 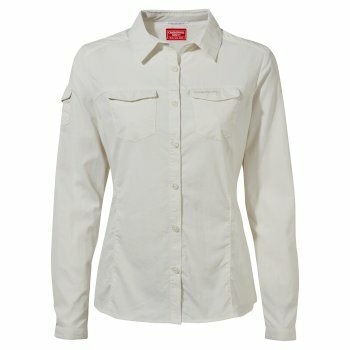 Our selection of women’s outdoor shirts are designed to prepare you for the trail, no matter how harsh the conditions. 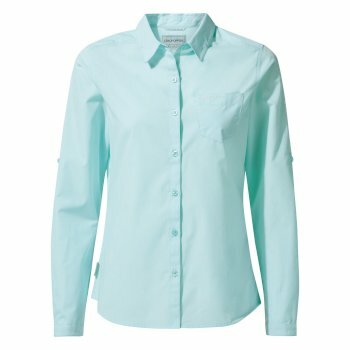 All our women’s hiking shirts are made with advanced fabric technologies to protect you from whatever may come your way.Lightweight travel shirts for easy-care camping holidays, or protective women’s hiking shirts for extra coverage on the trail? Our current range includes casual shirts for women as well as hard-working outdoor shirts that provide protection and breathability. 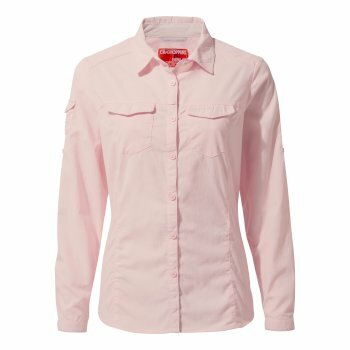 Find women’s short sleeve hiking shirtswith useful properties, such as moisture control, to keep you cool and comfortable and Solar Shield technologies to keep you safe from the sun. Made with lightweight material, our casual women’s travel shirts are designed with comfort in mind. Looking for hard-wearing outdoor clothing? 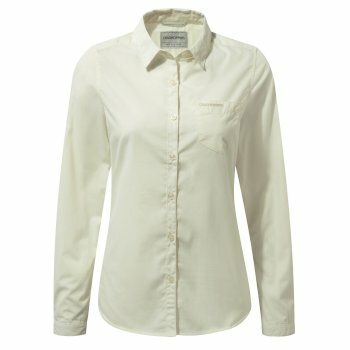 Take a look at our selection of women’s hiking shirts, perfect for expeditions in even the harshest conditions. 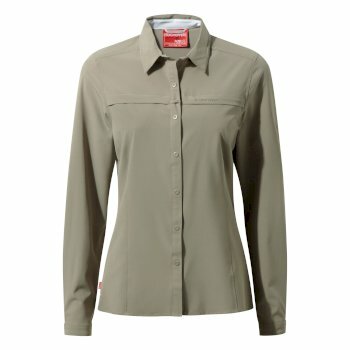 Our women’s long sleeve hiking shirts are packed with useful features to keep you protected on your adventures, including NosiLife insect protection technologies to keep out nasty critters, Solar Shield technology to keep the heat of the sun out, and moisture control to keep you cool and refreshed. 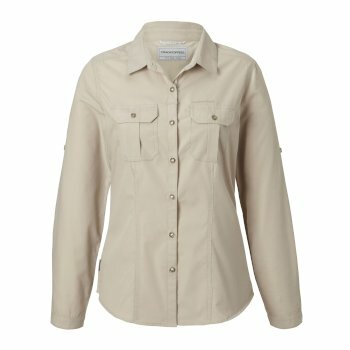 Look no further than Craghoppers for the perfect women’s outdoor shirt for your next demanding expedition. Explore our range of women’s outdoor shirts to find the right kit this season.